The important thing here is to achieve a good balance between water, fish, bacteria and sunshine. Once you have that you will have a successful, self-sustaining aquaponics system design that you can rely on. Let’s get to know some of the basic aquaponics systems…. This is the simplest form of aquaponics, and you can build this using containers or tanks and fill them with media of your choice. The most commonly used media consists of expanded clay pebbles or small river rocks or Lava rocks. Their main purpose is to provide the plant roots a medium to grip on as they grow bigger and taller. The pump in the fish tank, transfers water into the growbed for the plants to flourish. 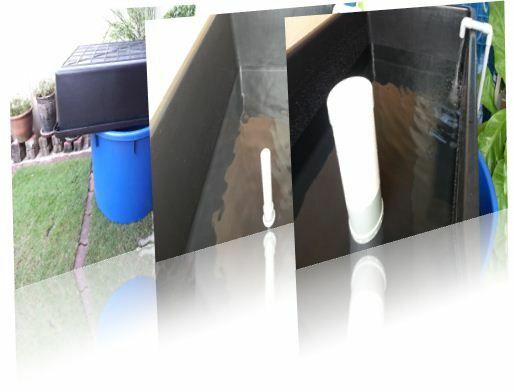 You can run this system with two options; a continuous flow, flooding and draining the grow bed, or a flood and drain system with a timer or a siphon. In a continuous flood aquaponics system design, the growbed is always filled with water. Water is pumped continuously from the fish tank to the growbed and will be gravity drained, back to the fish tank again to complete the cycle. 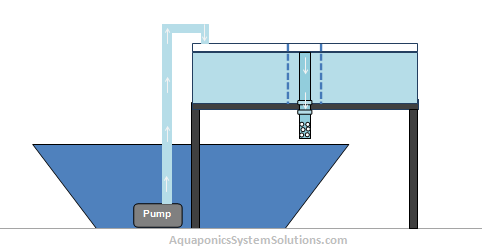 In this aquaponics design however, water is continuously drained from the growbed by means of a siphon. 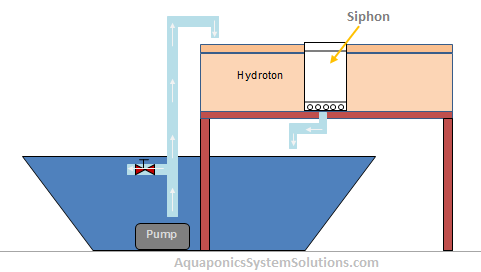 This is a more popular aquaponics system design among “aquaponians” as it generally produces better result. Nutrient Film Technique is widely used in hydroponics environment. But as you explore further into aquaponics, you will find that it borrows quite a bit of designs and kits from hydroponics. After all, you need only to replace the hydroponics solutions with Nitrate rich fish tank water to grow the plants. In NFT systems, nutrient rich water is pumped down the small enclosed gutters. Plants sit in small plastic cups with their roots submerged in the water to access and absorb the nutrients. The downside of NFT is that it’s only suitable for certain types of plants, generally leafy green vegetables. Larger plants with big roots are not suitable for lightweight growing gutters as they will topple and fall. Deep Water Culture, works on the idea of floating plants on top of the water allowing the roots to hang freely in the water. This method is one of the more commonly practiced in a commercial environment, where only a single or two plant types are usually massed produced. Normally, a DWC system design consists of a floating foam raft on top of the fish tank. However, a more common method is to grow fish in a fish tank and pump water through a filtration system. Water is diverted into long channels of floating rafts here. These rafts are filled with aquaponic plants that float on the water surface. Their roots however are submerged underwater to extract nutrients. 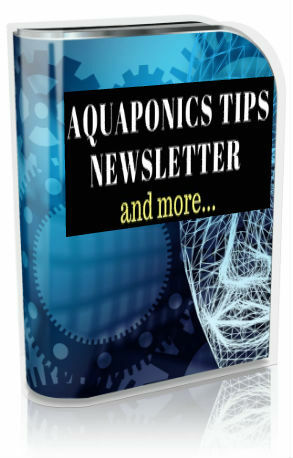 To read more about aquaponics and gain a more in depth understanding about the system, click here. 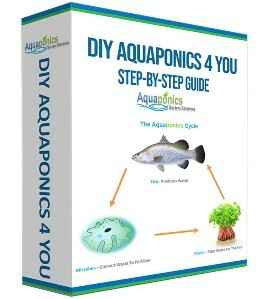 And to learn how to build your own diy aquaponice from home, you’ll find the step-by-step guide here. You will find photos, plans, a downloadable pdf materials checklist and our breakthrough siphon design here as well. All the information you need to build and run your diy aquaponics is available in the navigation menu. Feel free to navigate the site fro the information you need. 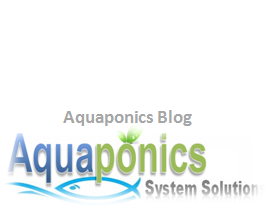 This is a great article on the 2 types of Aquaponics systems used by most home Aquaponics users. I’m more of a flood and drain guy myself but also like to set up a siphon system every now and then. My preferred siphon is the Affnan siphon. I want to buy a sollar cell for generating my water pump. For that, I need to know how much power the water pump needs, so that I able to know which solar cell should I buy. Please recomend me, which water pump is good for the aquaponic. You would need to find out what is the capacity of the pump you’re using firstly, to determine the solar cell you would need, and the size of your aquaponics system determines the size of your pump. Hope that helps to put things into perspective for you. But I would stick with normal electricity powered pump if I were you. They are more reliable. That is my opinion, the choice is yours of course. Or…alternatively you can look for aquarium pumps in your local aquarium shop. Crayfish will do great with aquaponics…of course you need to do some research on it’s living behaviour, water pH and etc to get the best result.